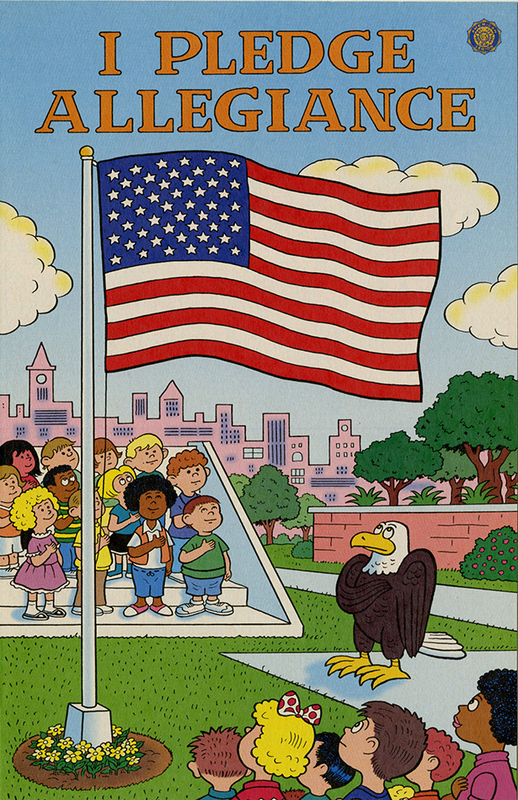 Educational comic book created and distributed by the American Legion. 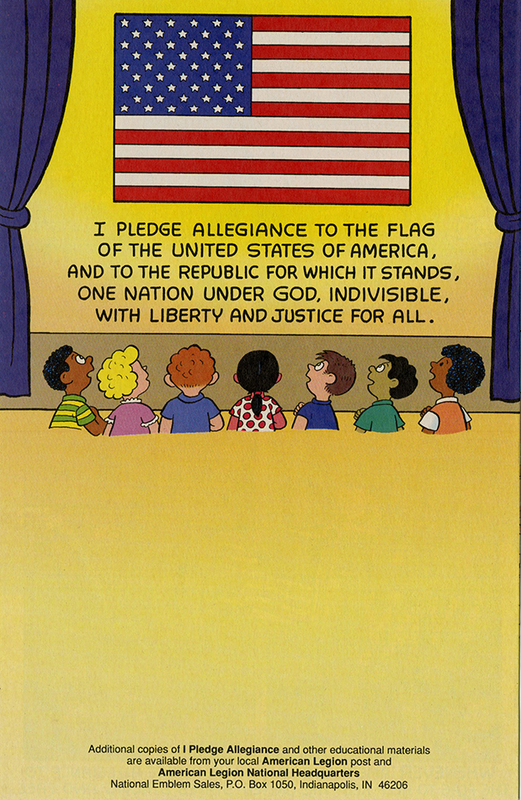 Aimed at elementary aged children, this comic book explains the meaning of the words of the Pledge. Simple puzzles and activities reinforce the lessons. Our nation is great and powerful! But many of our people believe in a higher power. God means many things to many people. In our country, we have the Freedom to Worship as we please, or not to if we choose." 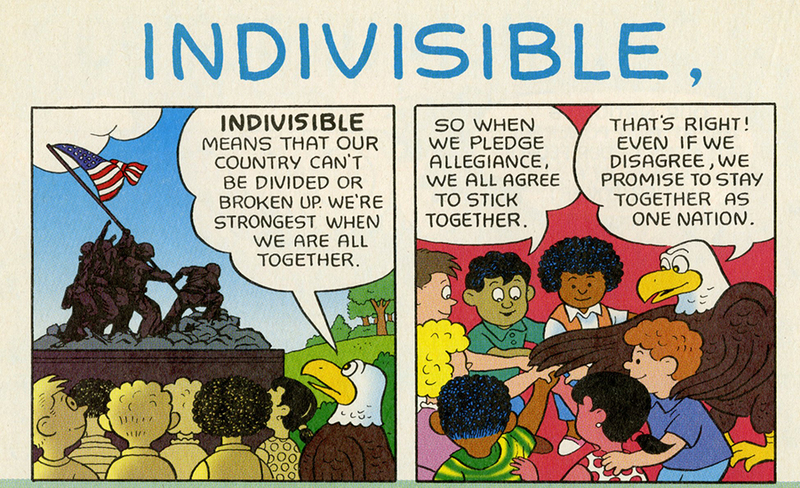 Indivisible means that our country can't be divided or broken up. We're strongest when we are all together. So when we pledge allegiance we all agree to stick together. That's right! Even if we disagree, we promise to stay together as one nation." 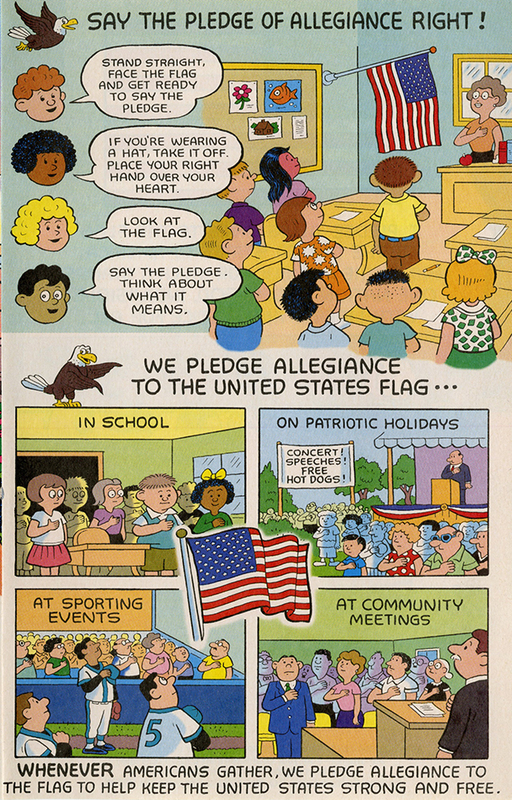 “I Pledge Allegiance [American Legion comic book],” Social Welfare History Image Portal, accessed April 26, 2019, https://images.socialwelfare.library.vcu.edu/items/show/351.